Health is a consequence of years of choices – some large and some small – that combine to make up our health. Sometimes we’ve chosen wisely and we enjoy good health; sometimes we choose poorly and we suffer the consequences. A decision tree can make these decisions more explicit and more obviously something we are actually choosing – it’s a way to externalize the choices that we otherwise make without much thought at all. Research shows that when we actually engage in a decision (when we think it through, even if just for a moment) we tend to make a better decision, defined both as one that we’re more comfortable with in hindsight and one that potentially bodes a better outcome. By engaging with our health consciously and explicitly as a series of decisions, one leading to another, we can become “smarter” and enjoy better health. In The Decision Tree, Thomas proposes a new strategy for thinking about health, one that applies cutting-edge technology and sound science to put us at the center of the equation. An individual’s Decision Tree begins with genomics, where $400 and a test tube of spit provides a peek at how your DNA influences your health. It taps self-monitoring and collaborative health tools, where iPhone applications and next-generation monitoring gadgets can help individuals successfully change their behavior, once and for all. And it turns to new screening techniques that detect diseases like cancer and diabetes far earlier and with far better prospects for our health. 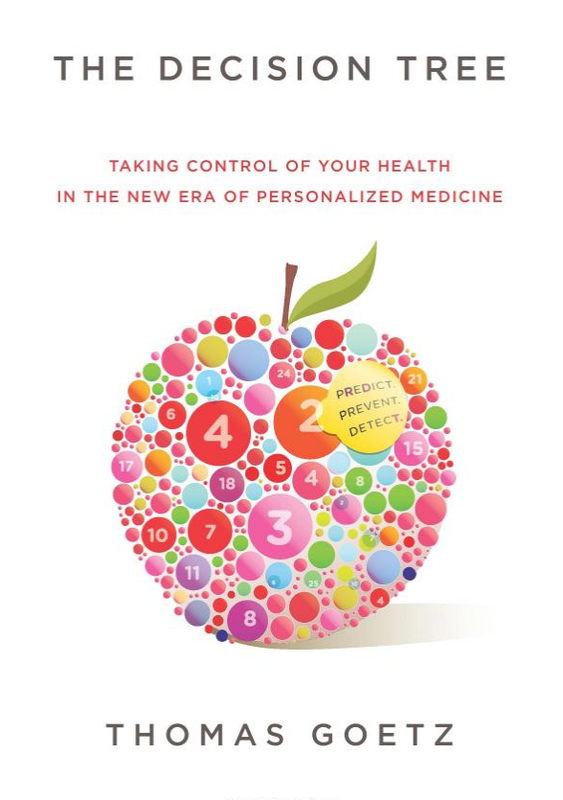 Full of thoughtful, groundbreaking reporting on the impact personalized medicine will have on the average patient, The Decision Tree will show you how to take advantage of this new frontier in health care. Check out coverage of The Decision Tree from the Freakonomics blog, BoingBoing, San Jose Mercury News, WIRED and Minnesota Public Radio. Read blog posts about The Decision Tree and the first chapter of the book. Watch this short video about the main challenge facing individuals and their healthcare, and the opportunity that a decision-tree approach offers (engagement improves outcomes). We face a health crisis in the US – not just a healthcare crisis – and making people aware of the problem and the potential for them to work toward the solution is essential to moving the needle back towards better public health. Listen to the introduction to The Decision Tree or download it (right-click and select “Save As”). Listen to Chapter 1 of The Decision Tree or download it (right-click and select “Save As”).